3 Beds 3 Baths 1 Partial Bath 2,079 Sq. ft.
NEW CONSTRUCTION TOWNHOMES IN TOWN CENTER! 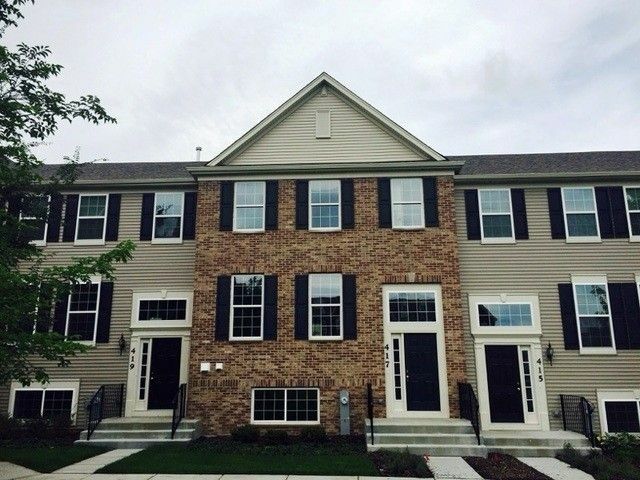 THE CHELSEA MODEL FEATURES 2,079 TO 2,213 SFT OF LIVING SPACE INCLUDING 3 BEDROOMS, 2-1/2 BATHS!,9' FIRST FLOOR CEILINGS! OVERSIZED FAMILY ROOM, DINING ROOM! WALK-IN MASTER CLOSET! 2 CAR GARAGE! FINISHED LOWER LEVEL! URBAN STYLE LIVING IN THE COUNTRY! HIGHLY D300! EASY ACCESS TO I-90! HUGE REALTOR BONUS--BE SURE TO CALL YOUR REALTOR TODAY!